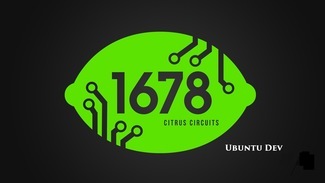 To support our Citrus Circuits students during fall events and during the build and competition season, please sign up to provide a meal (usually to feed 30, but please see details) for one of the indicated slots. We have many vegetarians this year, so one of the three slots for each day will request a vegetarian option. For meal suggestions, see https://docs.google.com/document/d/1E9UYk-0GI6t-My2KnCE-46wkNvj1_8lGTPdvnFtM6Lc/ (also available via Parent Committee Page under Support Us, at citruscircuits.org). If your dish requires serving utensils, please bring labeled ones; other utensils, plates, and napkins will be provided by the team. **IMPORTANT**: we have students with very severe nut allergies, so please ensure that all food provided is entirely free of nuts of any kind. Each family is asked to sign up for 3 meal slots. (Returning families, please note that at the team's request we are no longer doing scheduled snacks.) This is an important part of each family's commitment to support our team and our students. Please provide a main meal; dessert and drinks are optional. Please provide a vegetarian main meal; dessert and drinks are optional. Please provide a main meal; team will provide drinks. Please provide a vegetarian main meal; team will provide drinks. Please provide a main meal with a vegetarian option; team will provide drinks. Where is the venue for this meal! Where is the venue for this meal. Pasta Fetucinin Alfredo with grilled chicken. Rice, garbanzo beans, nan. mix veg, pesto pasta, chips, salsa, fruits. I will be taking 2 try’s of fresh fruit Saturday at 7:00 am. How much fruit (pints/weight) per person?